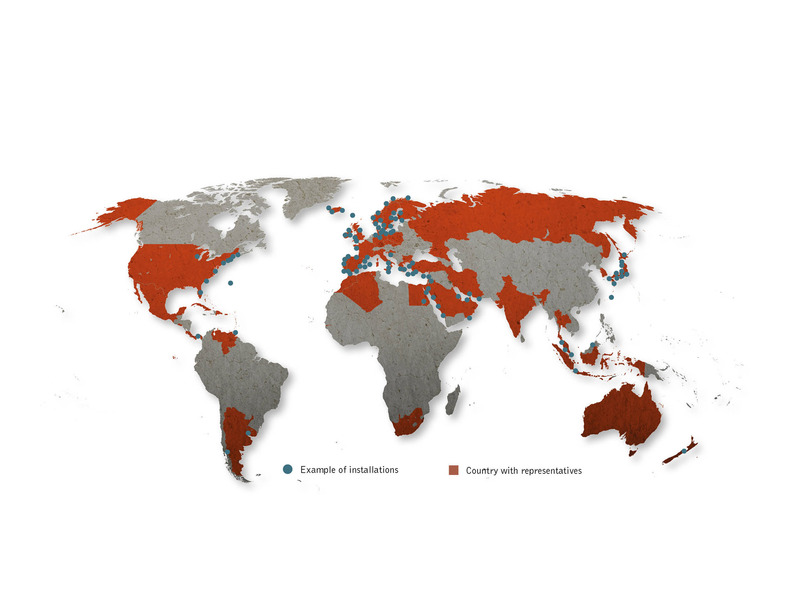 – from the Arctic to the tropics and all over the world. SF Marina provides professional services for the various stages of a marina life cycle. Our range of services covers every stage, from early conceptual sketches and marina optimisation engineering to complete turnkey marina projects and after sales services. Every marina is different, and we know how to achieve a perfect fit. We also understand your business, and know what you need to be successful. Our job is to listen, and make every detail serve the big picture by building marinas that take everything into account. We provide a complete service for a successful process, from start to finish, and this is included in your investment. Starting with sight survey, designing layouts to suit the desired needs, choosing the correct products, anchoring, auxiliary equipment, etc. to transport and installation. An open water sanctuary for two beluga whales is to be opened in Iceland in march 2019 – this project is the first of its kind. Conservation charity Sea Life Trust has spent six years developing a plan to bring the 12 year-old belugas, nicknamed “Little White” and “Little Grey”, from captivity in China to an open water refuge. The project is a collaboration between Vestmannaeyjarbær town and Merlin, a company which specializes in running amusement parks. The group working on it consists of marine biologists, whale experts, agents from the local tourism industry and other experts. Merlin recently bought Changfeng Ocean World in Shanghai, China, where the beluga whales were kept. In accordance with the company’s animal welfare policy they won’t keep them. It’s against their policy that whales and dolphins are taken from the wild and used for show. We are extremely proud to take part of this project, says Michael Sigvardssons CEO, SF Marina. We feel that this project is validating our vision with sustainable access to the sea and it shows the width of applications where our environmentally friendly pontoons can be used. Last year, Klettsvik Bay in Iceland’s Westman islands, was chosen as the site for a 32,000square-metre sea pen that will become home to the whales. We have already built several projects in this region says Kristjan Óli Hjaltason (Kroli) representative for SF Marina in Iceland. This project is using our knowledge and experience in the best way and there is a different sense of satisfaction knowing that we are creating the best possible circumstances. SF Marina is a world leader in the field of pontoons and floating breakwaters, internationally acknowledged as a builder of bespoke marinas designed to suit local conditions worldwide, from a fishing station in the north of Iceland to the sunny but continually storm-hit Caribbean. 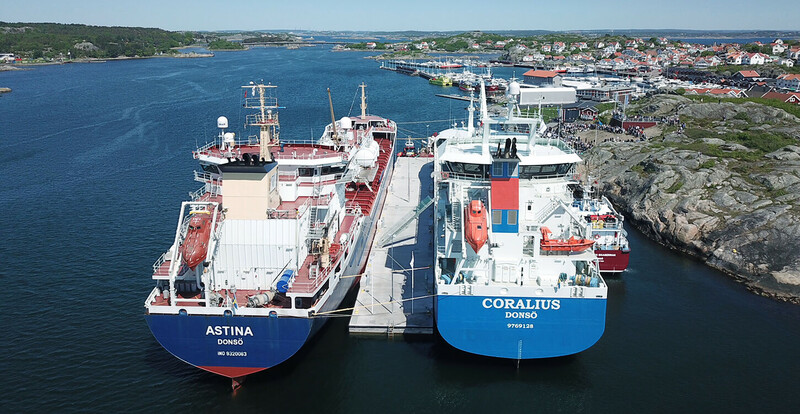 It is using this experience that they have now supplied the Donsö Harbour Association with some of the largest pontoons on the market in a project called ‘Donsö Djuphamn’ – the Donsö deep water harbour project. Floating pontoons of this size gain a protective breakwater effect, and spaces are created beneath the pontoons that provide the conditions for small fish and plants to thrive. A capturing solution for Tjuvholmen. Tjuvholmen is one of Oslo’s newest boroughs. The area is characterised by an intriguing architectural diversity and unique outdoor areas. It plays host to several galleries and art installations, including the Astrup Fearnley Museum flanked by a sculpture park and a beach. 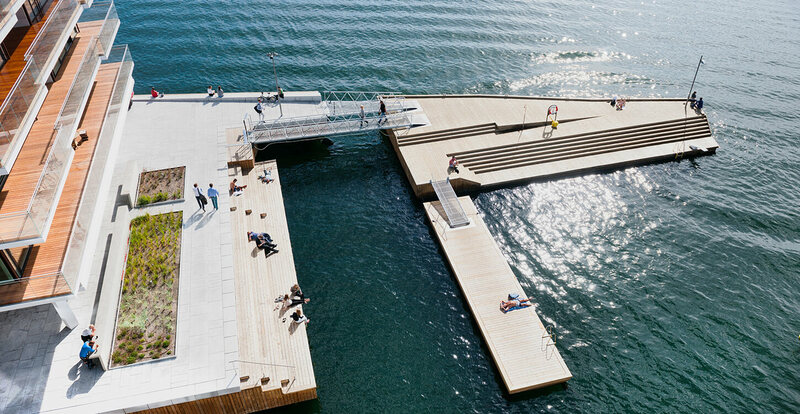 In this architectural conscious area in Oslo SF Marina got the request to build a custom-made floating bathing pontoon to match the area. The uniquely shaped pontoon was built at Wallhamn and finalized at site. If you are in Oslo a visit to this area is a must. La dolce vita for helicopters, cars and superyachts. In a setting surrounded by art, history and tradition, the marina in Porto Lotti offers all the magic of “la dolce vita”. 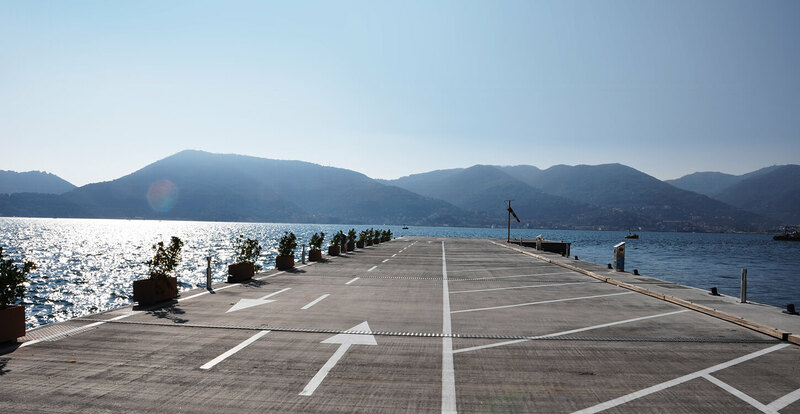 SF Marina has delivered a pontoon that welcomes you no matter how you arrive, the 13 meter wide pontoon includes a helicopter landing pad, two lanes and parking for cars and superyacht facilities that welcomes yachts of all sizes. 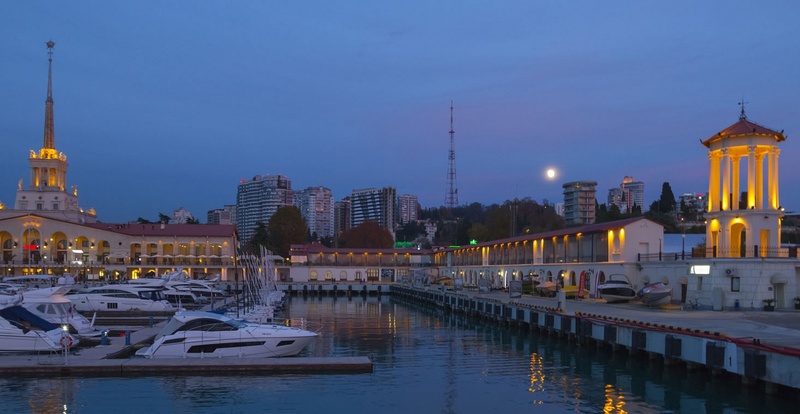 The Sochi Grand Marina is the most modern and comfortable marina in the Black Sea. The Capacity of Sochi Garand Marina is up to 300 yachts including superyachts up to 140 meters long. The special geographical position of the port provides not only year-round navigation, but also an opportunity to reach the shores and ports of Crimea, Georgia, Turkey, Romania, Bulgaria in a few hours on a high-speed motor yacht. Yacht marina offers its customers a wide range of services: 24-hour concierge service, fuel refueling, water supply, yacht maintenance, including ship handling up to 40 tons – in short, everything that is necessary for the owner of the boat or yacht. As in other port cities, Sochi marina is the centre of tourist attraction and a favourite place for recreation of residents and visitors of the city. The infrastructure includes bars and restaurants, boutiques and a shopping gallery – all within walking distance from the yacht. The Sochi Grand Marina is just a one hour drive from Krasnaya Polyana one of the most expensive and popular winter ski resorts in Russia. Krasnaya Polyana was the centre of the Alpine cluster of venues for the 2014 Winter Olympic Games in Sochi, and includes venues for skiing, biathlon, luge, ski-jumping and snowboarding. The new Provincetown marina offers 60 slips and accommodates mega yachts with a full range of amenities. The additional floating breakwaters (Type 500 and Type 600 (20’ wide 7.8’ tall) will create a new protected Marina basin, and berthing for Super yachts up to 300 tons. Designed to accommodate larger yachts the docks have superior features such as; aluminum cleats, stainless steel bollards, internal routed utilities, energy absorbing pile guides, and EPI decked finger piers. These enhancements provide a seamless high-end experience, while providing a long-term design solution that will provide many decades of low maintenance for the marina system in a location that often sees harsh winter storms. Siglufjörður is a small fishing town in a narrow fjord with the same name on the northern coast of Iceland. The town grew up around the herring industry that was in much bloom in the 1940s and 1950s, but the herring are gone now. Siglufjörður was connected with a road for the first time in 1940, when the horse riding trail through Siglufjarðarskarð was improved enabling cars to get through. Before, ships, seaplanes, horses and strong legs provided the only transport. Today the town remains dependent on fishing industries although the herring are gone. If you want experience the midnight sun you should visit between 9:th of June until 1:th of July. We recommend you staying at Siglo Hotel built into the harbour in Siglufjordur. All the rooms have views over the beautiful surrounding mountains and the marina delivered by SF Marina, from the cosy window seat you can watch life go by in this quiet little haven in north Iceland. Hotel Overlooking the stunning blue waters of the Hamilton Harbour sits the Grand Dame of luxury Bermuda resorts, Hamilton Princess & Beach Club. With Panoramic views of the water, sit back, relax and enjoy the beautiful yachts passing by at this Bermuda hotel. The Hotel is currently undergoing a major renovation; phase one included the development of a 80 plus berth Marina. The Marina design included a fixed pile supported breakwater, which surrounds the Concrete floating docks provided by SF Marina System International. The solid cast Type SF1230 All Concrete Docks were used with solid cast concrete fingers. The 10 ft wide docks have a high freeboard of over 24”, as desired by the customer, creating a very solid, stable marina system. In addition to power and water utility systems at each slip, accommodations were made for a future fueling station. Many large 82’ single cast dock sections were designed to reduce the piling requirements for anchoring, resulting in fewer joints. The SF Marina Angle Joint System allowed the concrete dock to follow the multiple corners of the fixed breakwater design without open joints or “bridges”, thus providing a smooth transition throughout the system. Salt & Sill is listed as one of the best boatels in the world by Evening Standard, the dominant local evening paper for London and the surrounding area, with coverage of national and international news and City of London finance. Salt & Sill is the first floating hotel in Sweden and offers it´s visitors a peaceful environment with guaranteed sea views over Bohuslän’s outer archipelago. The hotel consists of six two-storey house that was built on floating pontoons delivered by SF Marina. The decor in the rooms is characterized by modern Scandinavian simplicity with functional furnishings and unique details. Some rooms on the lower level has its own ladder right into the Skagerrak. When sailing from the Atlantic side of the Panama Canal to San Blas Islands the place to stop is Linton Bay Marina. Or just make it you’re the permanent Marina for your Yacht! The nature is wild and beautiful. You got a gigantic travel lift, a floating Fuel station and a safe modern marina. Facilities on land are constantly expanding, just to serve you. In October 2014 the ship arrived from Sweden, fully loaded with SF Marina Pontoons. The walkways consist of SF1040 and SF1030 pontoons, 4.25m and 3.25m wide. Installed on the walkways you find SF Marina´s unique Standalone Concrete Fingers, 10-18m long, for yachts up to 75ft. On the outside of the SF1040 pontoons you also have 9 slips for 120ft Yachts. The depth in the Marina is up to 10m. The anchoring of the Pontoons has been done with Helical anchors. Ducts for Electrical and Water Utilities are hidden under the deck of the pontoons, but easily access able for service. In total Linton Bay Marina have some 86 slips today. SF Marina Systems have delivered a large two-piece tug berth, designed for vessels up to 1,100 tons. The Berth is 32’ wide 150’ long and has a freeboard of 5 ft. The units were cast in SF Marina’s Factory in Walham, Sweden, each weight over 240 metric tons. The high loading of the Pier can accommodate truck traffic, and features such as cranes, and fuelling systems integrated into the design. The standard units can be shipped worldwide and moored with a variety of anchoring systems with infinite lengths. The low maintenance and heavy mass of the concrete structures are well matched to large tugboats and superyachts. Just 15nm north of Grenada in the Caribbean you find Taylor Bay, Carriacou.Taylor Bay Beach is formed into the shape of a crescent, and features sugar white sand. Palm trees freckle the coast, and the the waters are a crystalline blue. In the bay a small manmade island is being built. Between the island and land SF500 pontoons 5m wide and 1,8m high, are sheltering the marina together with the island. For the first stage of the interior pontoons SF1030 pontoons, 3m wide and with 0,5m freeboard, are being used. Anchoring has been done with Helical anchors. The pontoons were shipped from SF Marinas main production site in Wallhamn, Sweden. Originally built for the 1992 Olympic Games, Port Vell, rebranded as OneOcean Port Vell, has recently been transformed into one of the world’s leading destinations for superyachts. The marina is now an impressive 148-berth facility for yachts of five meters to so-called ”megayachts” of up to 190 meters. Is the first superyacht marina right in the heart of a major city and a huge boost to the local economy. Since major work on the marina was completed by SF Marina at the end of 2014, OneOcean has widely been acknowledged by owners and captains as a world-class homeport for superyachts to berth for a couple of days or permanently. In fact it won the ‘Best Marina & Port’ popular choice prize in this year’s Architizer A + Awards and an interior design award last year from the FX Interior Design Awards. Palmarina Bodrum, is a five-gold-anchor marina with superyacht facilities that welcomes yachts of all sizes. It has 620 berths for yachts up to 135m offering a dynamic lifestyle and unique privileges for boat owners and visitors. As Turkey’s first high-capacity mega yacht marina, Palmarina mixes an idyllic location with superb amenities and technical services. Palmarina Bodrum hosts an open-air shopping mall with 106 brands, gourmet restaurants, bars, cafes, clubs, entertainment venues, international luxury award-winning hotels; Palmarina Beach Hotel and Palmarina Boutique Hotel, a Spa & Fitness Center and variety of events and activities. Perfectly positioned near Bodrum in the southern reaches of the Aegean Sea in Turkey, in an area renowned for its unspoilt natural beauty and magnificent beaches, Palmarina Bodrum enjoys a wonderful climate virtually all year round. Palmarina Bodrum has been designed using a discreet fusion of Mediterranean, Ottoman and local Bodrum styles. A mix of open spaces and narrow lanes create an atmosphere of new-world luxury and old-world charm.